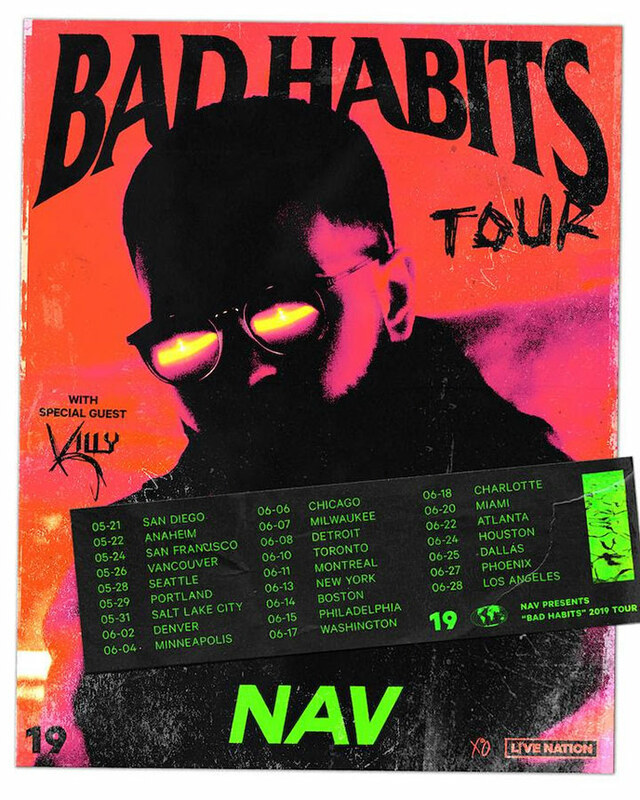 XO artist NAV has announced the dates for his Bad Habits North American Tour, coming in support of his new album by the same name. Three of the 25 dates on the tour are Canadian including Vancouver (May 26), Toronto (June 10), and Montréal (June 11). 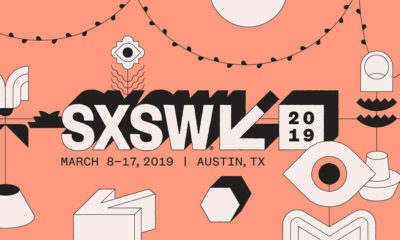 Tickets are expected to go on sale Thursday, Apr. 4 starting at 10 a.m. ET. Fellow Toronto artist KILLY is slated to be a special guest on the tour. 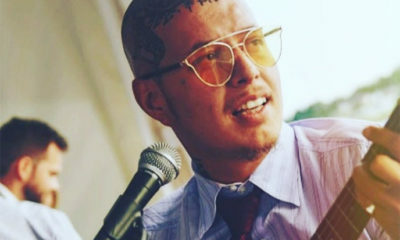 Most recently, KILLY was featured on Nessly’s “Freezing Cold” single which also features Yung Bans, and he’s still promoting his 2018 EP, KILLSTREAK. 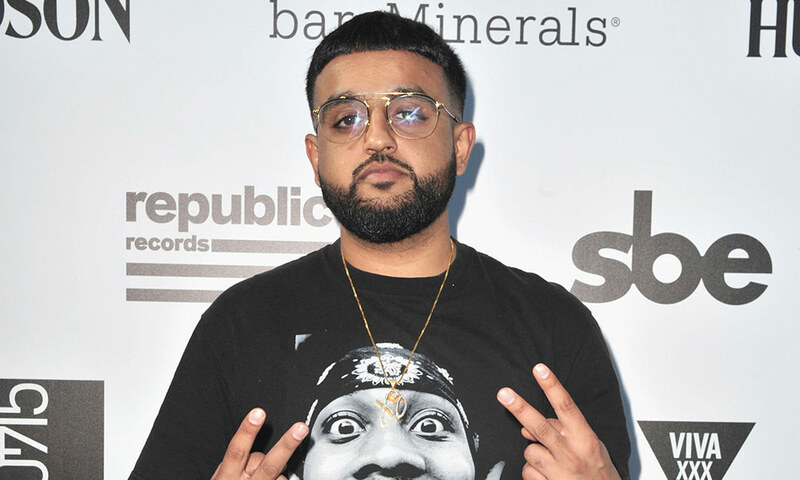 Bad Habits is NAV’s sophomore studio album, released last Friday via XO and Republic and debuted at number one. 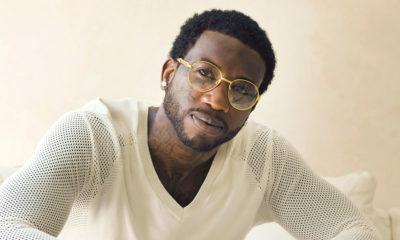 It features guest appearances by Gunna, Lil Durk, Meek Mill, The Weeknd, Future, 88Glam, Young Thug, and various other notable names. 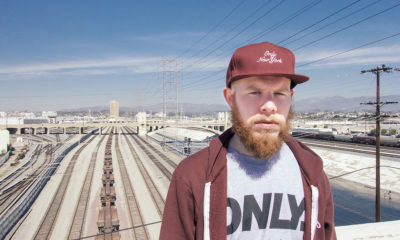 There’s also ton of great producers on the project including Pro Logic, WondaGurl, London on da Track, Weiss, CuBeatz, and more. It’s available on all major digital streaming platforms. You can find the full Bad Habits North American Tour listing below along with the official press release. Coming on the heels of his new video for “Price On My Head” featuring The Weeknd, NAV has announced his North American Bad Habits Tour. 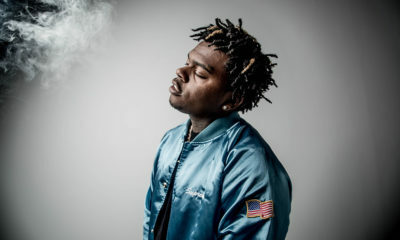 The trek supports the release of his highly anticipated album Bad Habits executive produced by The Weeknd last Friday that debuted at #1 on Apple Music’s album chart and #1 on iTunes’ Hip Hop chart. 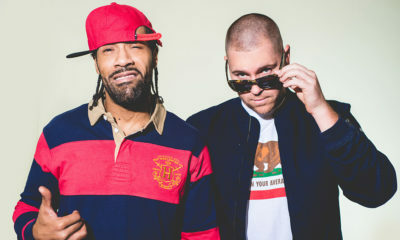 The album has received large praise from fellow artists such as Lil Uzi Vert, Travis Scott, Future, A$AP Rocky, Lil Durk, DJ Khaled, Gunna, Pusha T, DJ Mustard, 2 Chainz and many more. He also capped off the big release week with a game of Fortnite with the biggest gamer in the world, Ninja, last Friday. To celebrate the album release, NAV threw a massive party at NY’s The Box Tuesday night alongside close friends Lil Uzi Vert and London On Da Track who were amongst the many present. The coast-to-coast, twenty-five stop tour will begin May 21st in San Diego and wraps in Los Angeles on June 29th. Tickets go on sale on April 4th at 10AM local time. NAV has also released a limited capsule collection with street fashion brand VLONE that he recently extended for an additional 24 hours due to popular demand and is available until midnight tonight. The collection features designs inspired by the film V for Vendetta in conjunction with Bad Habits and VLONE logos. All purchases of the collection include a Bad Habits album download as well as pre-sale ticket access to the Bad Habits Tour. For more info visit: https://shop.navmusic.com. 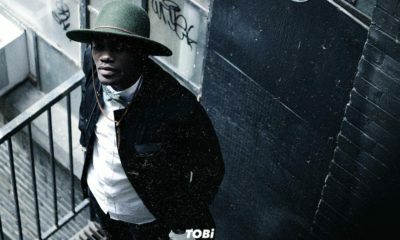 The Toronto producer-turned-rapper has been co-signed by some of the biggest artists in the game, from being signed to The Weeknd’s XO Records to his well-known friendship and collabs with Lil Uzi Vert, producing Drake’s 2015 Grammy-nominated diss track “Back To Back”, as well as producing and being featured on Travis Scott’s “Biebs In The Trap”. NAV has quietly ascended from the days of only a few hundred streams on SoundCloud to 3.3 billion global streams, 367 million plays on YouTube and 7 million monthly listeners on Spotify alone. His 2017 album NAV has now been certified gold and he has gone double platinum with songs “Wanted You”, “Some Way” and “Myself. 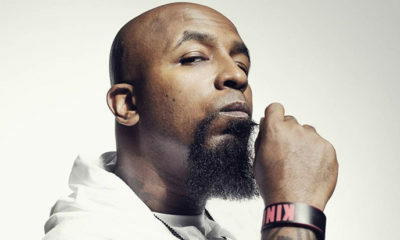 Additionally, his songs “Champion”, “Call Me”, “Up” and “Minute” have all gone platinum. You can follow @NAV on Instagram.